Summer draws its final breaths. You can feel the earth and all her creatures heave a sigh of relief as the heat is dissipating and crisp, cool mornings arrive. The change of temperature turns my gardener thoughts to the fall garden. The onslaught of harvest and preserving is over. Time for some deep breaths while we start new seeds and do the fall garden preparation. Here in U.S. Growing Zone 8, we’re able to have a garden pretty much year round. January and February are our down times. But, based on where you live, you may be thinking of putting the garden to bed for the winter. No matter what gardening zone you live in, there are certain fall garden preparations to perform during this transitional season. Removing diseased plants from your garden is essential. Any diseased plant gets burned here. It’s important to not put diseased plants in the compost as the disease can incubate there. Do you till your garden, use raised beds and containers, or have a combination of the two like we do? No matter which garden style you prefer, the first step in fall garden preparation is the same: Remove and/or incorporate all the plant debris from your garden. Healthy plant debris can be incorporated into the soil or added to compost. Incorporating it into the garden improves drainage, introduces oxygen, relieves compaction, and enriches the soil. You can also feed it to your livestock. Be certain that what you give them is safe for their kind. As organic, Non-GMO farmers, we don’t use any chemicals. We enhance our soil with composted soil, vermiposted soil (composting done with worms), compost tea, cover crops, and manure from our animals. Our animals are free ranged and receive Non-GMO, organic feed, so this suits our needs well. We also use BioWash. Your garden has used much of its energy and nutrition producing the harvest. Fall is the best time to return the favor to your soil. There are many fertilizing options. Choose the one that suits your lifestyle and goals. Organic fertilizers are easy to find if you don’t have access to your own. Fall fertilizing allows winter rains to carry vital nutrients deep into the hungry soil. Leaving your tilled soil bare naked will result in loss of soil and nutrients. Tilling in two directions will help prevent most of this runoff. Our 100′ x 50′ garden is deep mulched. Our goal is to do away with the need for any tilling, except in the feed plots. Deep mulching, for us, is 3 to 6 inches of mulch material. Pine straw, leaves, decayed wood and wood chips are ready resources on the farm. We lay healthy plant debris down in the garden and use the chickens to “till” it in. They are rotated through the garden one area at a time. Chickens scratch and incorporate the debris for us and fertilize as they go! They also remove any unwanted bugs for us like squash bugs and spiders. We’ve had a problem with black widows this last couple of years so we’re looking forward to the chickens eradicating them for us! Once they’ve done their job in each area, we add any fertilizer we want and finish it off with a fresh layer of deep mulch. Cover crops are a favorite here, especially for the fall garden. We use them fall and winter. Buckwheat is our favorite cover crop. It enriches the soil and makes beautiful flowers which the honey bees love. This provides a valuable food source for them at this late time of the year. It does it again in the spring for an early source of food for these most helpful critters. 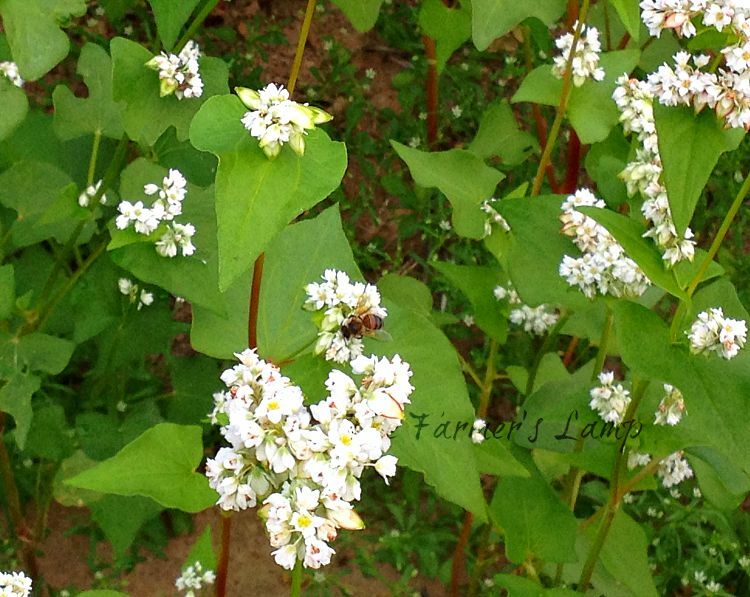 An uncultivated area can be planted in buckwheat to prepare it for use. It will choke out weeds and grass while enriching the soil. Your local extension office can help you determine what grows best in your area. Cover crops protect against erosion as they boost the organic matter in your soil. Many gardeners lay down cover crops down by cutting or tilling them into the ground. They usually do this before they are able to form seeds. We allow buckwheat to go to seed and come up a second time. Just before it goes to seed again, we cut it down and let it lay there until the chickens take care of it. Here in the deep south, part of our fall garden prep is planting cool weather crops. We’re careful with our crop rotation. This helps to ensure soil integrity and healthy crops. Among our favorite cool weather crops are broccoli, cabbage, kale, Swiss chard, beets, radishes, carrots, Brussel sprouts, and of course turnip and collard greens! A garden journal is essential to successful gardening. Accurate records put valuable gardening information and your fingertips. A successful harvest depends on crop rotation, plant production, disease, and weather patterns. A good garden journal will handily help keep up with these. Also, it helps you remember what you liked and didn’t like. Knowing what you planted, how much, and the success of each is essential. 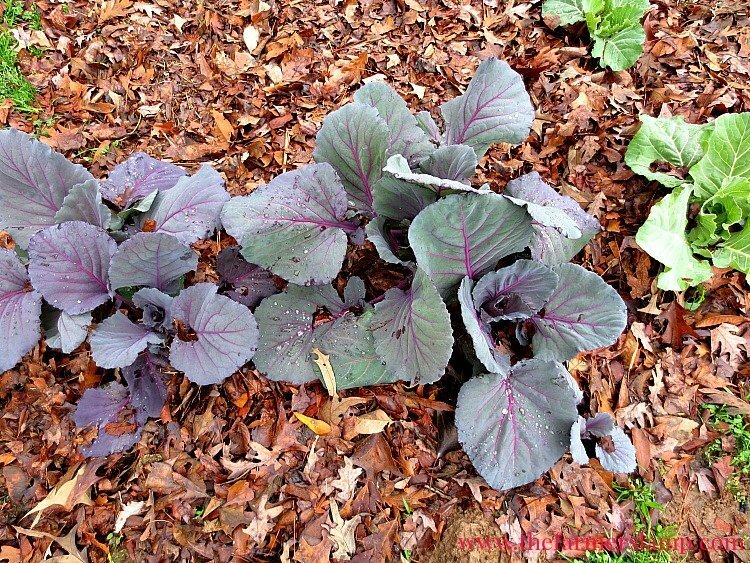 Transitioning your garden from spring to fall involves more than garden work. Not that anyone needs more chores, but let’s look at a few. While taking more time now, doing these will make our spring gardening experience better. Remove and drain irrigation systems: soaker hoses, water hoses, water jugs, etc. Tools: inspect, repair, and clean them. My grandfather taught me to store shovels, hoes, and blades in a bucket of oil or sand to prevent rust and dullness. Check your stock and organize it now. Make note of what you used and didn’t use. Decide what you’ll need to repurchase. Your garden journal will prove itself prime property for this chore. Take note of any expiration dates and temperature restrictions on supplies. Botanicals tend to be temperature sensitive. 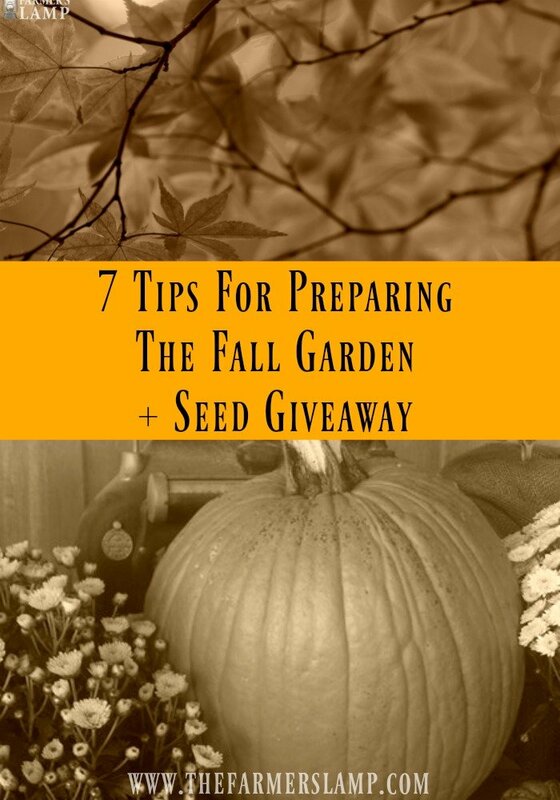 I certainly hope you’ve gotten hyped up for fall garden preparation. If you haven’t learned anything new, then maybe you’ve been spurred to seasonal inspiration! Contact me with any questions or concerns and I will get you the help you’re looking for. What are you waiting for? Get out there! Frisk up that fall garden. 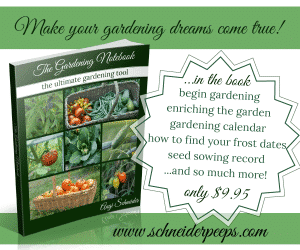 Start your seeds for your cool weather crops. It’s never too late to get gardening! What kind of oil would your grandpa put his garden tools in? And what about sand and oil in the bucket? Rosalie, Papa kept any oil he drained from the tiller, his truck, power saw, any oil. He kept it in metal buckets – two that I remember clearly. He just set his tools over it it. He also had a few smaller cans he kept sand in. Those that were too small for the oil or that he just wanted in them, for reasons only he knows, he put down in them. I particularly remember his files, shears, and hoof pruners being in the sand. I hope this answers your question. If not, please feel free to let me know. Thanks so much for taking the time to visit! I’ve always been terrible about garden clean-up. I’m determined to do better this year! I should be able to, do better, especially with the help of the chickens this year. I’m trying clover as a cover crop in our pumpkin patch to act as a mulch, and it’s definitely helping. I might be trying a cover crop in some of our other garden spaces in the future.